Hi all – sorry we’ve been pretty out of it the last two weeks or so. It’s been a real bear around here, as both of us have been dealing with illness and health issues, and while I’ve managed to keep the mini shows going, the full length ones have had to go by the wayside for the moment. 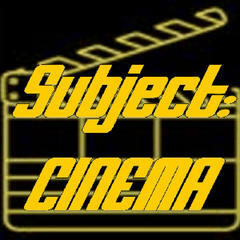 Subject:CINEMA is again taking this weekend off – I’ve been down with a migraine most of the weekend, and it’s affecting my podcast and site work. I managed to put together the TKR Hot20 yesterday, and am shooting to have Catastrophe Vortex return tomorrow (8/6), a month behind schedule. We will slowly ramp back into things over the next week – Kim will be back with Ring Around The Rosie on Wednesday, then Front Row Five and Ten on Thursday, and so on. We should be fully back up to speed by next weekend. Thanks for your unending patience as always, and keep hangin’ in there – we’ll be back this week!